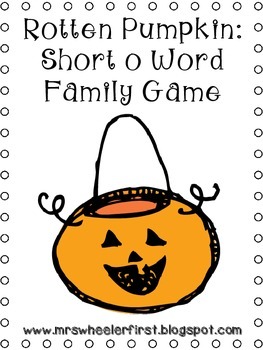 Want a fun way to practice short o word families? 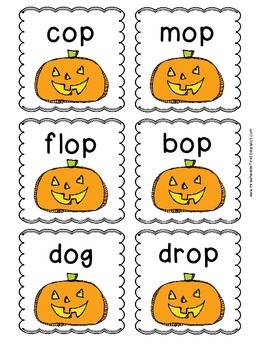 This "Rotten Pumpkin" game will keep kids engaged while decoding their words! 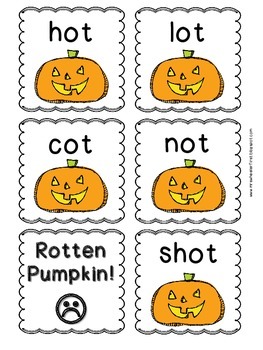 The anticipation of pulling a 'rotten pumpkin' card will keep kids interested! 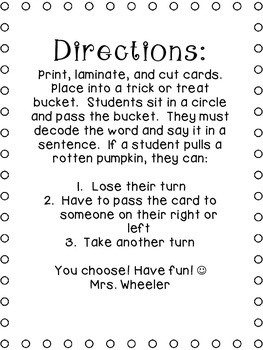 Add a trick-or-treat bucket for extra fun! Directions for game play included in document. Enjoy!